Posted on 04/30/2016, 17:56, by martin, under Big Data. Well, if you are not in Data Science today, you are apparently missing a major trend … many say. 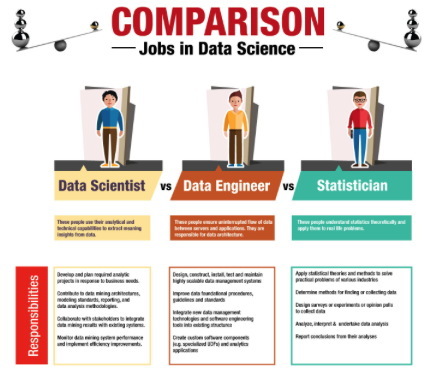 Just in the last year, I witnessed at least three people mutating from ordinary computer scientists or statisticians into data scientists or data engineers. If you don’t really know what these people do, Analytics Vidhya has an easy classification for you. « Is Big Data all about Dark Data?